Whether for a faulty, damaged or wrong item, misunderstanding, buyer not reading description properly, correcting a 3rd party mistake (AP or transport company for eg) or simply goodwill, eventually you may have to give your buyer a refund be it partial or full. To do this is a very simple process. 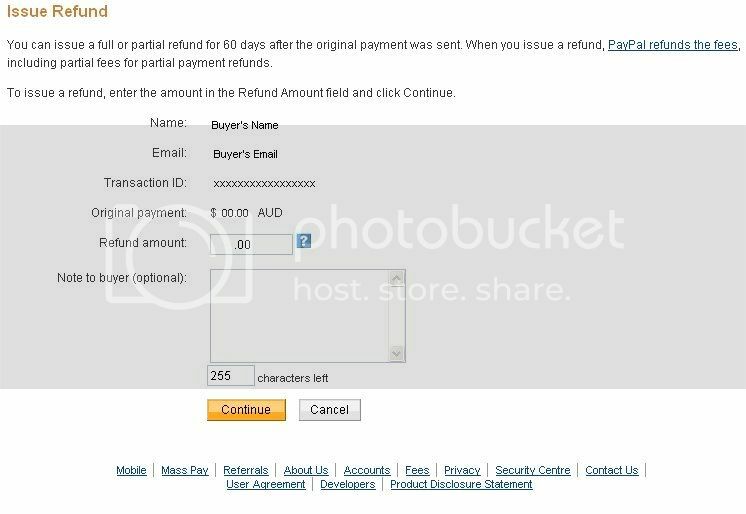 Now it is simply a matter of filling in your refund amount, note to your buyer and clicking Continue. Obviously I cannot go any further with this without giving away some money (never a good thing ), but from memory you will be taken to a confirmation screen to complete the process. 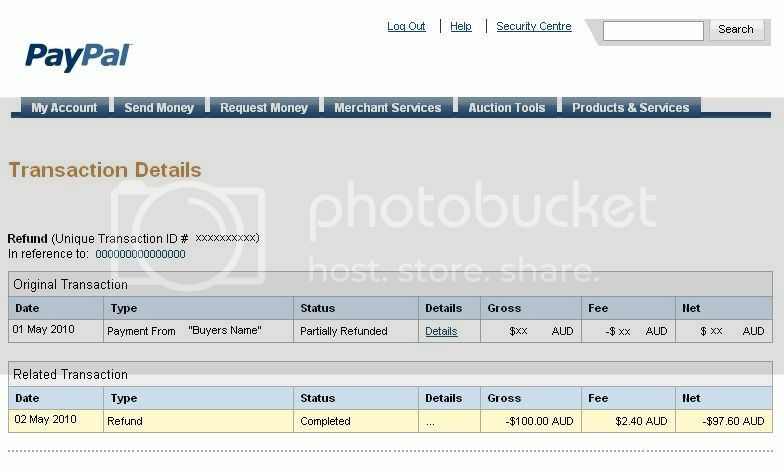 The confusing part of all this is the final screen which shows the completed transaction (click for enlargement). Figures are an example only. Obviously these will be different for each individual. This looks like the full amount has not been passed on to the buyer, but rest assured they have been. The Paypal Fee has not been deducted. What it is, is a reversal of the 2.4% fee for receiving the original $100. So to sum up, the buyer has received the full refund and the seller has been refunded part of their original fee. More information on refunds, etc can be found at PayPal here. and at eBay Reviews and Guides here. NB. (This was written with the encouragement of Countess and concise explanation by Feck to my original query).